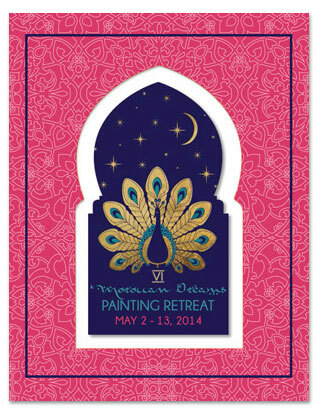 Join Melanie Royals for our 6th magical Peacock Painting Retreat to Marrakech, Moroccan Dreams, May 2-13, 2014. 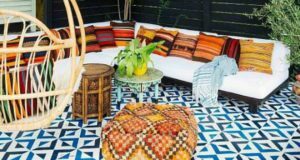 Past painting retreats have had us creating amazing ceiling treatments, one-of-a-kind murals, patterned patchwork concrete, stunning stenciled stair risers, an embroidery inspired stenciled tent fit for a Sultan, and much more! 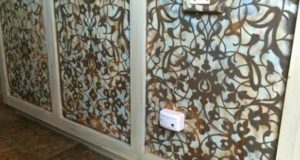 Once again, we will be collaborating with Maryam Montague of My Marrakesh, and using newly designed mylar stencils for Royal Design Studio andModello® masking stencils to create paint MAGIC at Peacock Pavilions in Morocco. 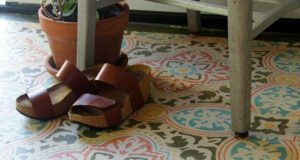 Retreat participants will have the opportunity to learn new and exciting decorative paint applications while creating a lasting artistic expression in a land of exceedingly rich design history. 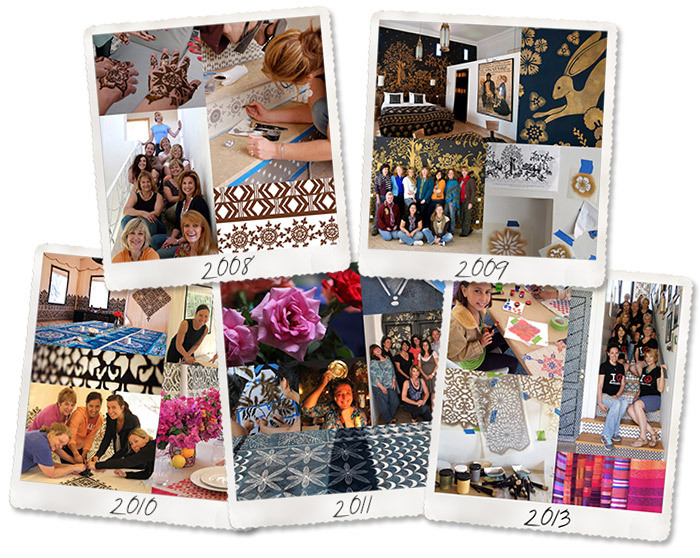 In addition to our creative paint and stencil classes and on-site group stencil project, we will enjoy amazing Moroccan cuisine, soak up the friendly hospitality and culture of Morocco, savor incredible sights, dip our toes in the Atlantic Ocean, ride camels, learn from local artisans, and shop the souks for exotic treasures. 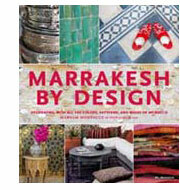 Many of our previous painting projects are also featured in Maryam’s book, Marrakesh by Design, a comprehensive and thoughtful look at Moroccan decorating styles, their history, and their meaning-and how to translate the beautify of Moroccan design into your own home. Evening departure from JFK on Royal Air Maroc Flight (recommended). Note that you will need to reserve your own flights and more details provide upon registration. The airfare cost is not included in the trip package price. You may choose an alternate route to Marrakech, if you wish! 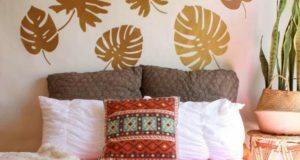 Testimonials from Past Peacock Painters! Hey there! Someone in my Myspace group shared this sitewith us so I came to give it a look. I’m definitely enjoying the information. I’mbook-marking and will be tweeting this to my followers!Terrific blog and superb style and design.